First things first, be safe in Observatory! Be aware of your situation and the people around you. Stick to popular areas, try not to walk alone at night, and don’t walk around with belongings on show (mobile phone, cameras, headphones etc). When in restaurants and other public spaces, keep your valuables with you and visible at all times. Vincent Pallotti is located in Pinelands, a 5-10 minute drive from Observatory. You can call the OBSID control room on 021 447 1066 any time day or night if you see something suspicious, need to report an incident or want to request a “walk home” service. 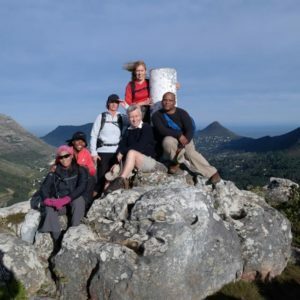 The Meridian Hiking Group is based in Cape Town and has been an active group since 1989. 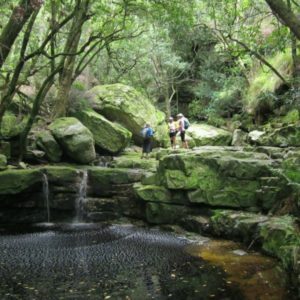 The Cape Union Mart Hiking Club offers a range of hikes; over 120 hikes a year with 20 experienced leaders. 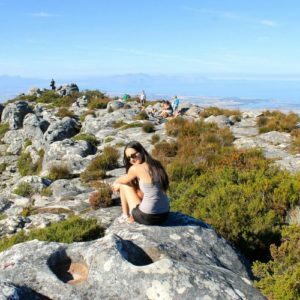 Insider's Guide - From leisurely rambles to invigorating hikes, Cape Town has something for everyone. 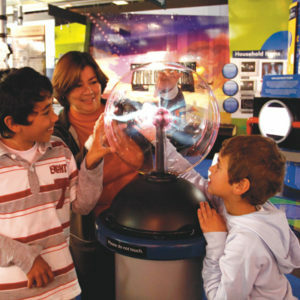 With more than 250 interactive exhibits and mind-boggling puzzles... a world of discovery under one roof. SAAO is the national centre for optical and infrared astronomy in South Africa. Getting around in the neighbourhood and the city. Walk, cycle, UBER, public transport, trains, it’s all possible! The Observatory train station is on the Southern Line. This is the Cape Town CBD (central business district) to Simons Town line. Observatory is a mere 7-8 minute train ride and only two station stops away from the central city station. Muizenberg Beach is the closest beach to Observatory, using the train. This is a 45-55 minute ride. Download the Cape Buses and Trains app for timetables. MyCiti is a safe and convenient way to travel around the Mother City. You’ll recognise these blue buses with red trim on the City’s streets. The busses operate for up to 18 hours a day, depending on the route. Children younger than four travel for free. Current routes link with major landmarks and tourism infrastructure, including Cape Town International Airport, the V&A Waterfront, Table Mountain, the Sea Point Promenade, and the beaches of Camps bay, Clifton and Hout Bay. You’ll find metered taxis throughout the city. Rates and payment methods differ per company, so check this out before booking a ride. UBER is a safe and convenient method of getting around the city, especially at night, when train services are infrequent and not recommended. You can download the UBER app to your smartphone. Payment is really simple and works with either cash or your credit card. Informal mini-bus taxis operate many routes in the City and are one of the most used and cost effective modes of transport. Take note though, there are no maps, time schedules or guide for the informal network. Travelling during daylight hours around the city area and the coastal suburbs is safe for tourists. This is a quick, cheap means of transport. Ask a local how this taxi system works. 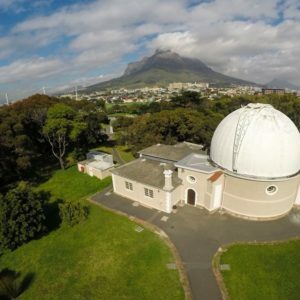 Facilities in Observatory and surrounds. Restaurants, bars, an observatory, sports venues, a science centre, interesting shopping, beautiful nature, doctors and a public hospital, Observatory has it all! Entertainment venues, restaurants and bars can be found on Lower Main Road, in the section between Station Road and Trill Road. There is a small shopping Centre at St Peter’s Square on Main Road. There are various sporting venues in the neighbourhood (including golf, soccer / football and cricket). 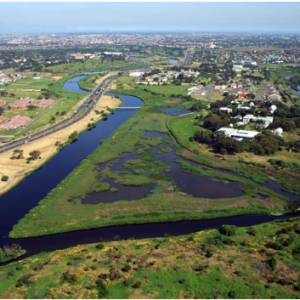 If you fancy getting out for a walk nearby, the route along the Liesbeek River, from the River Club to Rosebank Common, is a great way to see the surrounding area. Newlands Forest, a popular walking location is a 10 minute drive from Observatory. There are many trails on Table Mountain and surrounds.